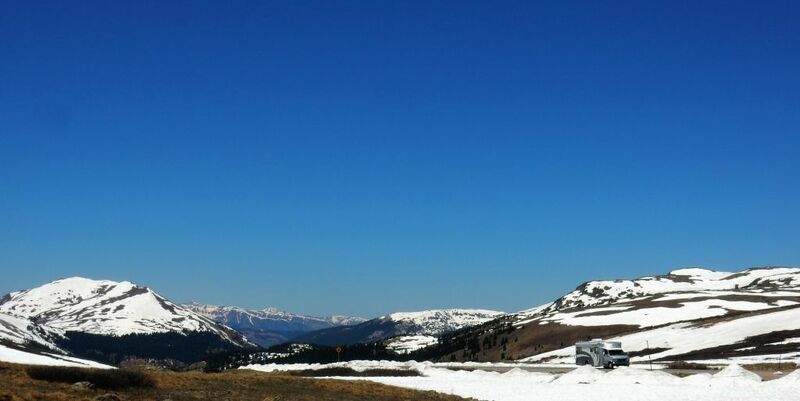 To most, a Rocky Mountain High has to do with breathtaking scenery at incredibly high elevations …. which can truly take your breath away. There’s another aspect to a Rocky Mountain High that can take your breath away. It’s called altitude sickness. Avoid alcohol, caffeine, & strenuous exercise the first few days of your visit. Arrive a day, two or three early to give yourself some time to adapt, especially if you plan to be hiking and climbing (or partying)! Another aspect is the sun. Prepare to cover up or use some sort of sun block. At these heights, with thinner air, you’ll be grateful you protected yourself. P.S. Here’s a blog post that lists some campgrounds that are at least 9,000′ above sea level. Click here to find a campground.